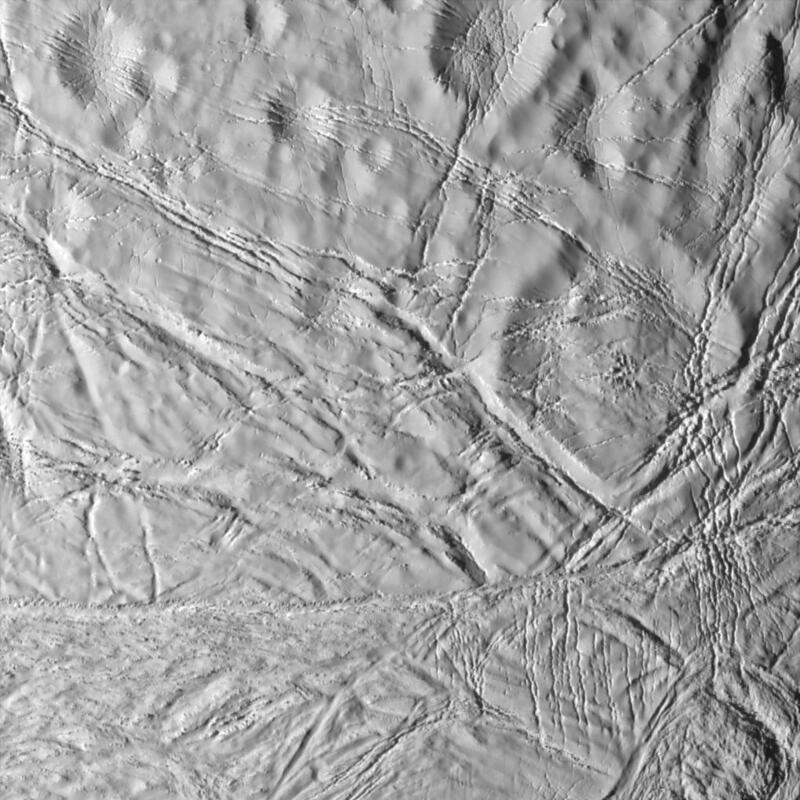 This dramatic scene from Cassini illustrates an array of processes on Saturn's moon Enceladus, a once geologically active world. Most of the larger craters appear to have softened from their original, presumably crisp appearance, and are cross-cut here by numerous faults. Cassini acquired this high-resolution view of Enceladus during its closest encounter yet with any moon of Saturn. Toward the bottom of the scene, terrain containing fractured and softened craters gives way to essentially non-cratered terrain consisting of tectonic faults. 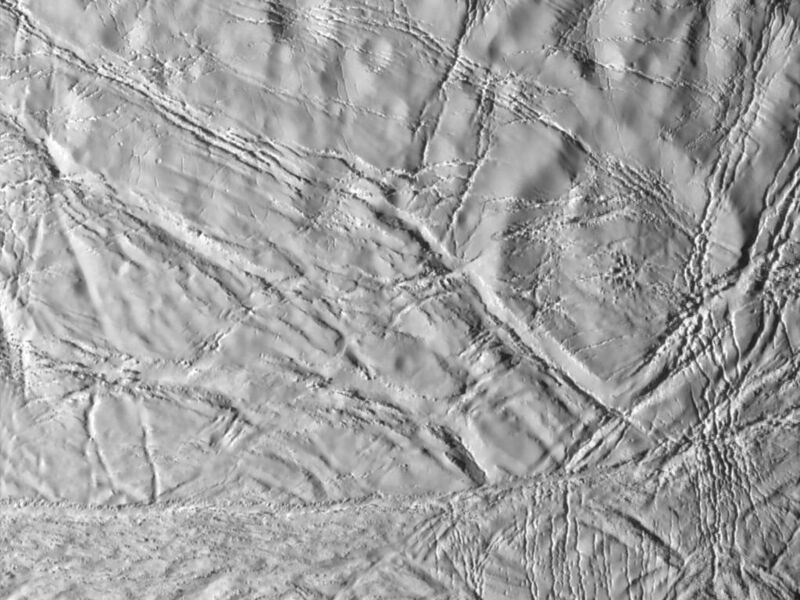 The softened craters, fractured plains and wrinkled terrain on Enceladus suggest geologic activity has taken place in several episodes during the satellite's history. This activity might continue into the present time, although imaging team scientists have seen no evidence for current activity on the moon. Illumination of the scene is from the left. 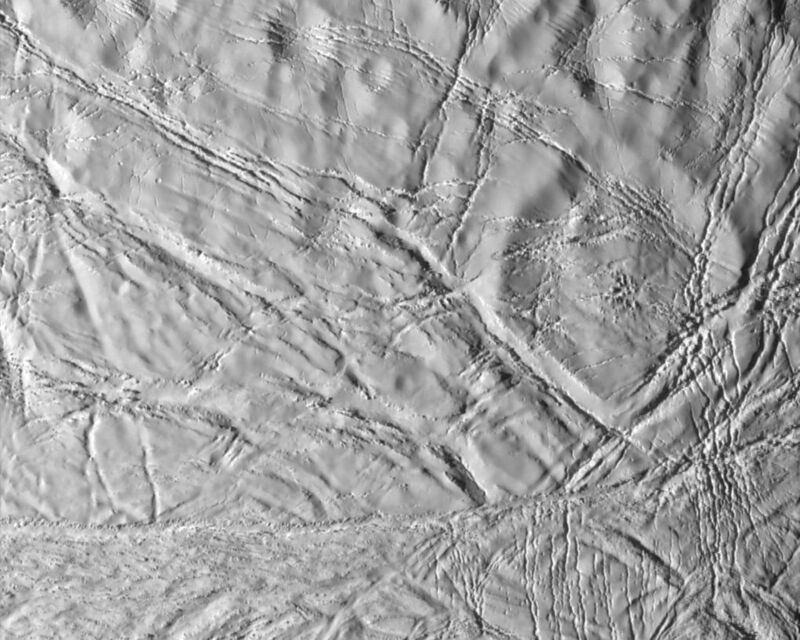 The image was obtained in visible light with the Cassini spacecraft narrow-angle camera on July 14, 2005, at a distance of about 11,500 kilometers (7,150 miles) from Enceladus, and at a Sun-Enceladus-spacecraft, or phase, angle of 46 degrees. The image scale is 67 meters (220 feet) per pixel. 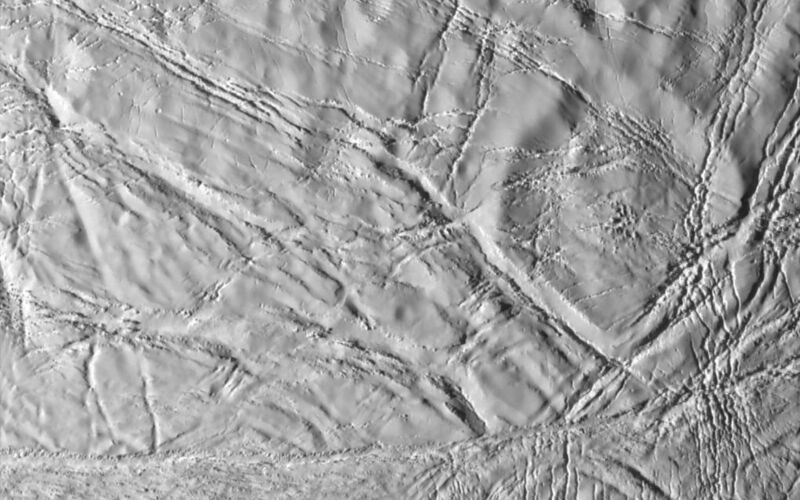 The image's contrast has been enhanced to aid visibility of surface features.